Upon your arrival in the tropical paradise of Maldives, you will be transferred by a speedboat to your resort. Complete all check-in formalities and enjoy leisure time at your ocean water villa. Appreciate the crystal blue water and relax for the day. You can explore the resort. After a relaxing day, have a peaceful sleep at your ocean water villa. Wake up to delicious breakfast and plan how to enjoy this day of your Maldives trip package from Bangalore. You can choose to pamper yourself with an indulgent spa treatment. You can choose from a relaxing aromatherapy treatment or a rejuvenating body spa wellness package. Tailor your wellness journey experience with selections of signature spa sessions focusing on a renewed self after the session. After a relaxing day, have a restful sleep at your villa. Begin your day with a hearty breakfast today. On this day of your holiday package to the Maldives from Bangalore, you may choose to relax on the white beach, go for a swim in the blue ocean or do absolutely nothing and soak in the beauty of this tropical nation. If adventure is what you like, discover a dazzling underwater world by indulging in diving, or guided reef snorkeling. You can opt for some water sports like snorkelling, parasailing, jet skiing, kayaking, snorkeling, banana boat riding, water skiing, wakeboarding, kneeboarding, fun tubes riding, kitesurfing, windsurfing, wave surfing, and more. 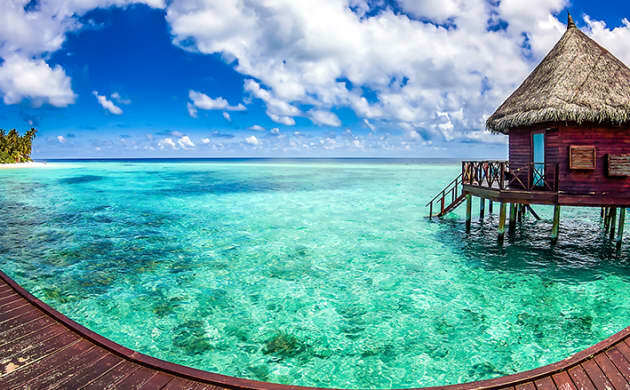 After an enthralling day, return to your ocean water villa at the resort for an overnight stay. Post a wholesome breakfast, check-out from the resort as you bid farewell to this exquisite tropical nation. 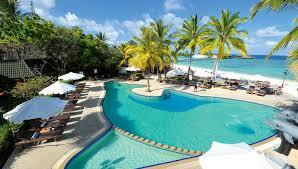 Get transferred to Male international airport to catch your flight back home.